Fans of Louisiana Tech Bulldog Baseball can keep up and track the team by using several different sources, but in order for this to be possible someone has to keep the close eye on the collegiate team. This is the job of media relations intern Kelvin Queliz. Queliz has been a member of the media relations team since October of 2011. He is the primary contact regarding all media relating to baseball, women’s volleyball, and women bowling. His duties include making media guides, game notes, press releases, statistic records and game recaps. 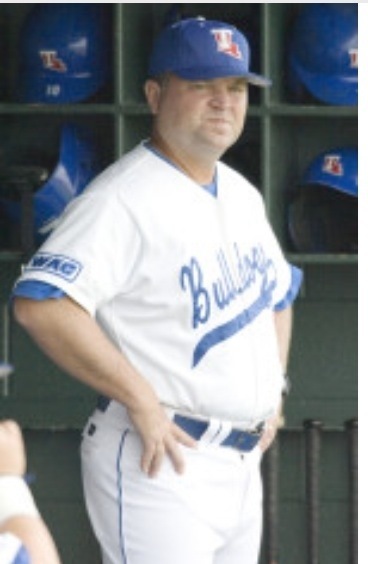 Louisiana Tech Bulldog Baseball could not have found a better occupant for this job. He has three years experience dealing with baseball statistic as a undergrad. In addition to that, he also played the sport for four years in high school and two years at the colligate level, which makes him very familiar with regulations and proceedings of the game. A native of New York, Queliz received his bachelors’ degree from the University of Delaware with a major in Sports Management and a minor in legal studies. He worked as a student intern in the media relations department at the University of Delaware for the past four years while also assisting with the sports marketing team. He also spent his undergrad semester as a sales intern for the National Basketball Associations team 76ers of Philadelphia. During the spring, baseball is his main priority being that it is the only sport that is in season during the time. Anytime the media wants to speak with a player or coach they must first go through Queliz, because he is responsible for any information released to the public on the team. Any time the team travels to an away game he is right there keeping tabs on them. Being the media representative is not all fun games, it comes with a lot of responsibility. All media must be confirmed by the media represent, it’s his job to make sure that the facts published by the press are accurate and in good standings with the university image. Any time information has been published that is not confirmed by the media representative, he is allowed to force the source to remove the information from public view. So the next time you pick an article regarding the Louisiana Tech Bulldog Baseball team keep Kelvin Queliz in mind because without him that information may not have even been available. College baseball tryouts represent an opportunity for a non-scholarship players to make a positive impression on a baseball coach and win a spot on the team. In many cases, this can be a difficult task. There may be only a few openings that dozens of players are trying to earn. To have a chance, you must quickly demonstrate that you not only have the skill but you are physically, mentally, and emotionally prepared. Perhaps no college sport has better exemplified the undefined nature of athletic scholarship distribution than baseball, where some players traditionally can receive either a partial or even a full scholarship. For years, some coaches have signed a handful of high school athletes to what were viewed as tryout scholarships. At some school the program is allotted a specific amount of money to offer to a certain amount of players so that it will secure their enrollment at the university, but then they choose to evaluate the players during fall practices to determine their strengths and weaknesses and when they be given the opportunity to play. The only mandated requirements that the baseball team as well as the university has is that each athlete is cleared by the Clearinghouse, the registrar receives a copy of their high school or college transcripts, and a physical from a doctor but once they step out onto the field the coaches are looking for other qualities. Although this may not make sense to some, to athletic individuals who designate a certain amount of time a day to perfect their chosen craft in order to demonstrate the physical capabilities that it takes in this sport one must mentally prepare themselves first. Just like any other sport one must be polished, condition the body and be a hard worker but they must maintain a sense of composure, knowledge of the game, and alertness so that they can quickly react to any given situation. Mental stability is a large key factor in the sport because one must demonstrate that they have the willingness to work with others, came compose themselves, manage responsibilities, and take part in a leadership role on and off the field. So don’t just go out there and play the game–be the game because baseball requires more than just to physical skills, it requires something that each and every one of us has…a heart and the passion to do what we love. The players also need to have the ability to entertain and be encouraged by their Bulldog Fans as seen here at last Friday’s game. Shown here is a list of some of the physical, mental, and emotional things that a college baseball coach might be looking for during the tryouts. The field was dry as the sun glistened down onto the diamond so beautifully as if it were bouncing off of a class ring. Just the thought brings back so many memories of the blood, sweat, and tears it took to get to that point. Every inch of that place has a memory that lives inside his beating heart. Justin Gordey, a senior who has played his heart out for five years on the J.C. Love Field talks about his role models, his career, and a bittersweet goodbye. Remembering how over the years teammates, coaches, and friends have been their both athletically and academically. College is not about letting others find out who you are, it’s about you finding yourself and though everyone has mentors to help guide along the right path there are always people that look up to us. There are numerous levels of baseball: little league, high school, college, the minors, and the major league and the little leaguers always look up to the older, more mature players but even they have a role model that they aspire to be like. A bond between a father and son is one that can never be broken but Gordey has also formed a relationship that no matter where he goes in life he’ll never forget. A team is like a family of individuals that comes together from across the country for one reason…to become one. Belief and faith that this diverse group of guys can set aside their differences for the common cause of playing the sport that they all love is not an easy task but with a strong support system anything can be accomplished. Picturing an empty field or walking off of Louisiana Tech’s campus for the final time as a student only makes him wonder what the future has in store and what legacy to leave behind to the players that will follow. Lives have forever been impacted, not only the life of this Louisiana Tech University student but others around the area and country as well, because this young man decided to follow his passion and to live life to the fullest and as this chapter closes, it’s not a bittersweet goodbye to a 20 year journey but the first start on a new path. won or lose. It’s all about playing the game, having fun, and making lasting memories. Senior Justin Gordey prepares to lay down is bat and glove for the final time. A good work ethic, perseverance, and dedication are exactly what you will need in order to gain membership to the legendary Bulldog Baseball team here at Louisiana Tech. Each year several player hopefuls audition for what they anticipate to be the beginning of their collegian baseball careers. Each player fights for those last spots on the team that the coaches were unable to fill with scouted players. The competition can get vicious due to the fact that the spots are limited and each prospective player feels that they deserve a position. The first thing that a potential player will need to become a part of the squad is approval by the National Student Clearinghouse and high school transcript. What this does is ensure the coaching staff that a potential player has graduated from high school and is enrolled here at Louisiana Tech. Once a player is approved by the Clearinghouse and their official high school transcripts have been reviewed, they must then be examined by a physician. The physical can be performed by a physician of the players’ choice or one of the certified team trainers here at Louisiana Tech. 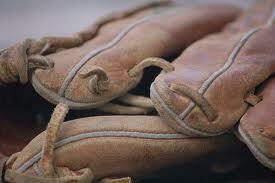 After all that tedious paper work it’s time for the prospects to grab a bat and glove and head to the diamond. Players speed, strength, and agility will all be analyzed by the coaching staff and then compared to that of the current members of the team. Anyone planning to attend the tryouts should be prepared to run the 60 yard dash, throw live bat pitches, and hit fly and ground balls for over a two day period. “Any time we have walk on try outs, what we try to do is see if they’re a good enough athletes to hang with the guys that we already have and possible one day take the place of one of them” said Bulldog Baseball head coach Wade Simoneaux. In addition to attending the open tryouts, a perspective play may want to think about attending one of the baseball camps held here by the Bulldog Baseball team. Attending the camps gives a perspective player a feel of what the team is all about and they can become familiar with players, coaches, and other baseball staff members. Camps are also a good place to showcase talent and athletic ability that could give a player the edge on the competition. For more information any perspective player would want to contact head coach Wade Simoneaux at wade@latech.edu. Louisiana Tech University Baseball Coach Wade Simnoneaux sits behind his desk in the coach’s locker room. It is a cramped room with drink machines lining one of the concrete walls, the other walls look like they are covered in a wallpaper of baseball posters and enlarged autographed photos of great Tech players. The small room is filled to the brim with desks, equipment, and stacks of papers. A room that looks worn over the years, the floors scuffed by the infinite footsteps of cleated feet. The men that are gathered in this office look fidgety, and often glance quickly out the windows to see the approaching rain clouds. The locker room is filled with the scent of humidity and an approaching storm. Despite the looks of the other coaches, Simoneaux appears calm and eager to talk. Simoneaux has been Louisiana Tech’s head coach for the past ten years. In 2007 he was awarded the WAC conference coach of the year. He has helped many young men go on to the professional level and graduate. “A main thing we look for when scouting players is the student athlete” Simoneaux said. Student obviously being the first word in that criteria. “We have to have kids that can make their grades here and survive the academic load as much as were on the road,” he adds. The young team of 12 Freshmen and only two seniors are certainly getting to experience what he means this season, the Bulldogs have been on the road for 17 of their 28 games so far. Simoneaux typically doesn’t like to play so many road games but with such a young team he felt it was necessary to get the team acclimated to playing big games in the road. “We’ve been humbled, humiliated, stomped on, and homered on the road, it’s something that our guys grow and learn from that, it makes them together, and it makes them better,” the coach explains. With so many young players and road games it seems that the odds would be stacked against the team to achieve academically. The freshman year is a crucial segment of college, it is a time when young students, even athletes become acquainted with college life and all of its stresses. Fortunately, the team members have been able to balance their education with their busy baseball schedule. Simoneaux says that all active members of the baseball team are staying on top of their studies and doing well in their classes. If a college player is outstanding on the diamond as well as in the classroom they will most likely have a decision to make their junior or senior years. Many good players get drafted to play at a professional level before they graduate college. Simoneaux enjoys seeing good players get a chance to play at a higher level but he’s concerned about their future if they fail to get a degree. He likes to see the players that still have options if they don’t get drafted or just simply decide against signing with any team. He talks about one player in particular, Jeb Stefan a senior who maintains an upwards of a 3.8 GPA. Simoneaux became excited when talking about the player who has had the opportunity to intern at NASA over a summer and could possibly attend grad school at University of Texas at Austin. “I’d love for all of them to stay and get their degrees because that Engineering degree is going to take them a lot farther than baseball will,” Simoneaux says. “Those muscles wont tear,” he says pointing to his head. Wade Simoneaux is not only concerned with his team’s grades but also strives for his team to be respectful towards themselves, their opponents, and the game. Simoneaux said the team and coaches do all the field work at J.C. Love field year around. He has seen through years of experience that this is a good way for the players and coaches alike to get a feel for the field and through their hard work earn the right to play on such a historic field. Since Simoneaux’s arrival in 2002 he has made several new additions to the J.C. Love Baseball complex. “Enhancing the batting cage, putting in the chair back seats, new press box, new score board, new back fence, and a rod iron fence,” surrounding the complex, he says. Simoneaux has experienced the game of baseball from every angle. As a player while in college at Louisiana State University, Central Florida, and Nicholis State. A parent to his son, Thomas who is a Ragin’ Cajun at University of Lafayette and finally, a coach to many High School teams as well as assistant coach at ULL before becoming a Bulldog. Since then he has made a big impact on the Ruston community and Louisiana Tech. His wife Susan owns Powerhouse Tumble and Cheer right here in the Ruston community. His eldest daughter Mary Alice is an architect major that is projected to graduate soon and his youngest daughter, Caroline is a Regal Blue. Simoneaux feels blessed that the Ruston community and Louisiana Tech have been able to give him so much. With so much season still to go it is difficult to project the outcome but Simoneaux is full of pride and quite optimistic for the rest of the season. The Bulldogs stand at a record of 14-14 thus far and constantly strive to improve. With someone such as Simoneaux on the teams back and calling the plays the Bulldogs stand a good chance of making this a winning season. This is the type of gear that players used to use on the baseball field. Louisiana Tech maintain precautions to avoid dangers of baseball related head injuries. Baseball is the American pastimes that has a standing tradition of exciting and illuminating thrills and chills to those who watch it. The activity that once ranked above television, facebook, and video games continues to shine at Louisiana Tech University. 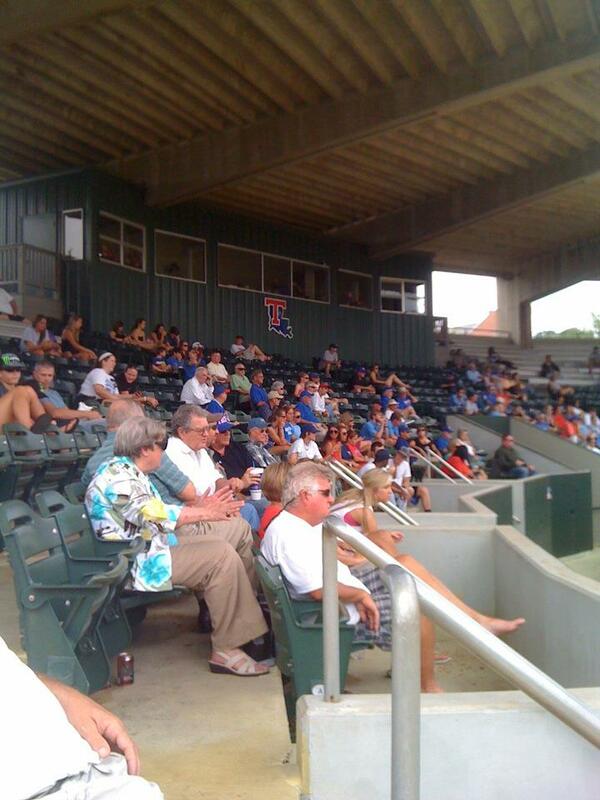 Tech baseball fans come out of the woodworks to fill up the 1,500 seat stadium to cheer on the Bulldogs. Imagine that you’re watching the game, and a player approaches the mound prepared to hit the ball, but when its thrown it hits him in the head. 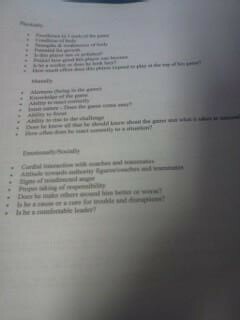 Therefore, causing the athlete to remain unconscious for several minutes. It would have been a scary scene, but with the new NCAA-mandated rule on college bats, the potential risk of pitchers being struck by a ball is likely to be reduced. The new Ball-Bat Coefficient of Restitution bats were altered after last season because of many complaints by collegiate coaches. 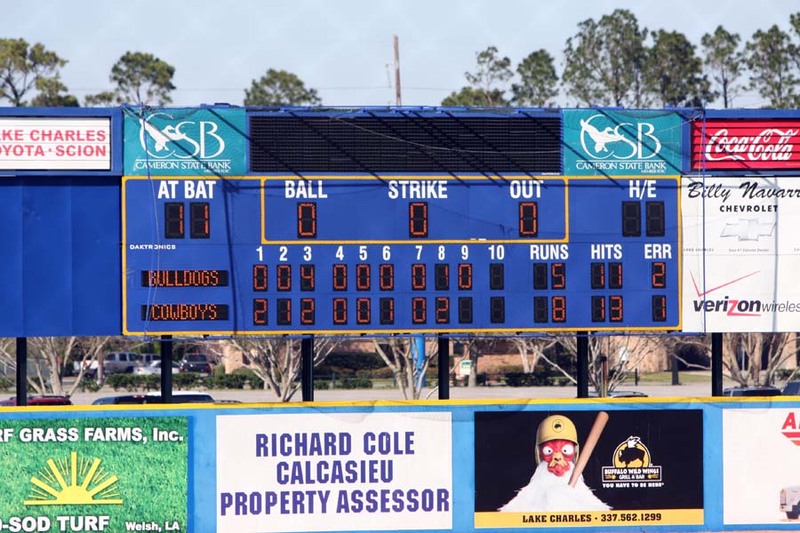 “As a result, the Bulldogs will produce more home runs and score more runs. However, the bats are still a huge difference than from two seasons ago. Tech has hit 19 home runs this season after hitting just 28 last year,” said Kelvin Queliz, the baseball representative. The switch from composite barreled bats to aluminum bats ensures the safety of players and evens a playing field for the offense and defense. 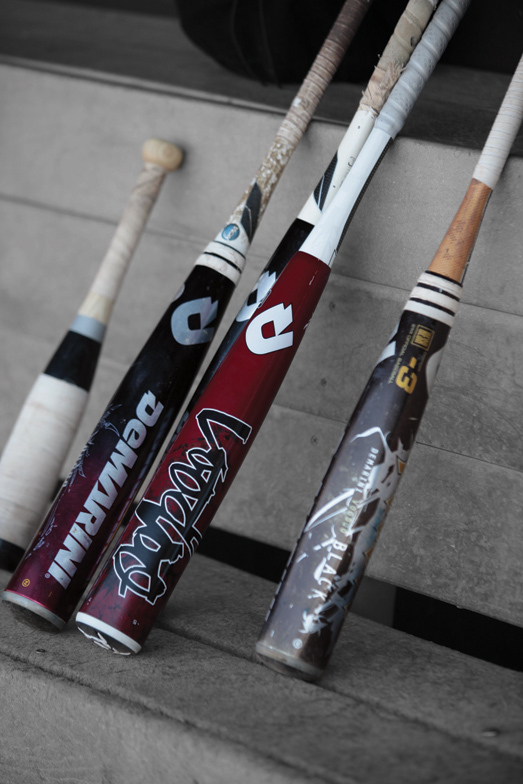 College baseball has seen an explosion of offensive output, and to counter this, new bats must meet the newly introduced BBCOR standard. “A lot of times, the bats were so powerful that if we make a good pitch, we do exactly what we wanted with the ball, [batters] wouldn’t get it all the way square or anything, and it would still go,” Gilley said. But no more. Bulldog pitchers are seeing much more success on the mound this season. “From a pitching standpoint, I guess we’re in favor of them,” Gilley said of the new bats. But as predicted, the Bulldogs batting numbers have decreased slightly. Through the 2011 season, head coach Wade Simeoneaux’s squad batted 5.33 and though 61 games are batting 6.12 as a team for the first 25 games of this season. “They challenge you a little bit more as a hitter to barrel it up,” Gilley said. “You don’t get away with as many things this year as you would last year. Although the new bats have dipped into players’ batting averages and have improved pitcher’s ERA, the preparation and experience gained from these bats are valuable for their future careers in the majors. Research has shown that there are several dangers that can be caused by playing baseball or any other sport but the fact that Louisiana Tech is being so precautious about the health and well-being of his athletes makes the Bulldogs that much more enjoyable to watch. Due to the new mandated rule, players are now using this BBCOR bats. Fast balls, strike outs, and home runs have been drawing crowds to the J.C Love Field, home of the Louisiana Tech Bulldog Baseball team, for almost seven decades. 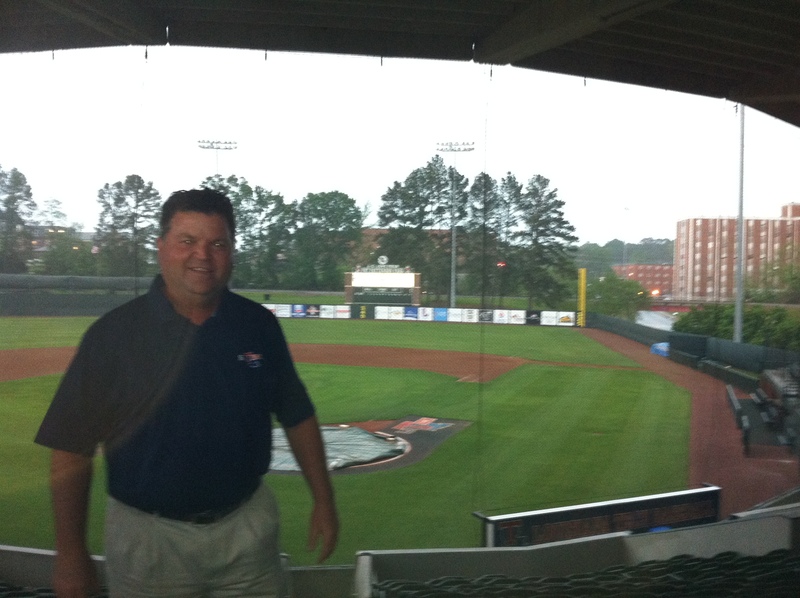 Louisiana Tech has one of the oldest running baseball programs in North Louisiana. It first appeared in the Louisiana Intercollegiate Conference in 1945 and has been running strong ever since. Unfortunately stats only date back to 1972, when the Bulldogs entered into the Southland Conference; there they gained national recognition. The Bulldogs now reside in the Western Athletic Conference in which they have been a part of since 2002. During the span of the program the bulldogs have won a total of 1,590 games, with seven National Collegiate Athletic Association appearances. The bulldogs also hold two Conference Tournament Championship titles one in 1975 and another in 1980. The team gained those two titles during the reign of head coach Pat Paterson, who coached the team from 1968 to 1990. During his time as head coach Paterson held a record of 741-462-2, the best record of any coach in the program’s history. 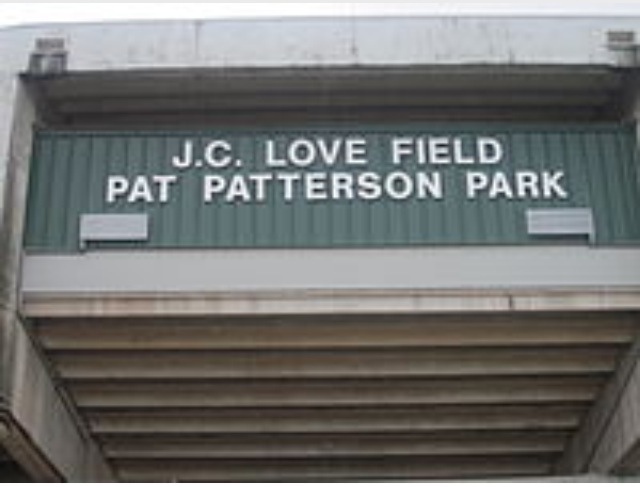 In honor of Patterson, on May 22, 2008 Louisiana Tech dedicated its diamond field to the legend by renaming it J.C. Love Field at Pat Patterson Park. After sliding into the home plate at Pat Paterson Park many players get a chance to play with the big boys in Major Leagues Baseball. Three draft picks came through the program last year alone, including Kyle Roliard, Mike Jefferson, and Mark Threlkeld. 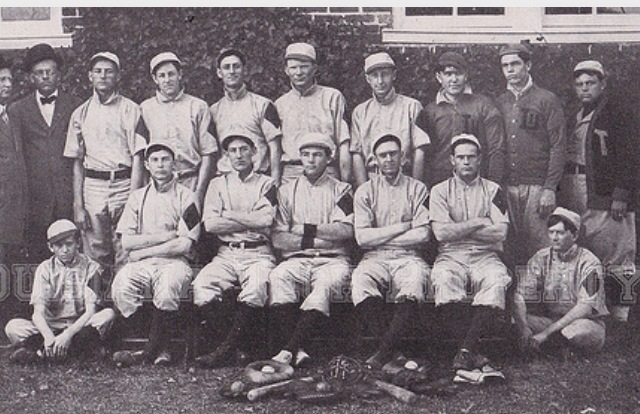 Big names such as David Segui, George Stone, Randy McGilberry, and George Stone all suited up in bulldog jersey before playing in the Major Leagues.. Throughout the programs history Louisiana Tech has had 61 Major League Draft Picks, sixteen of those draft picks have been under present head coach Wade Simoneaux. 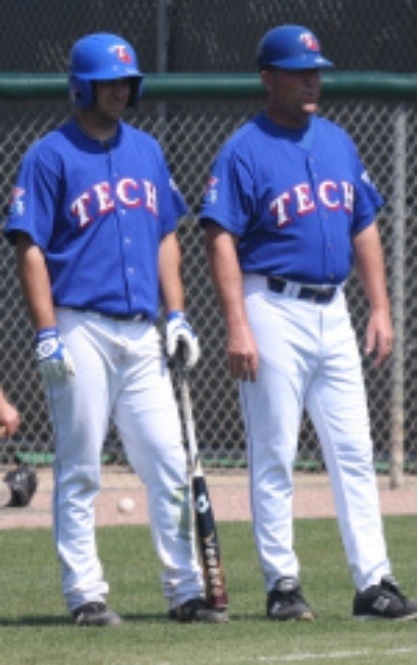 Entering his tenth season at the helm of the Louisiana Tech baseball program, “Simoneaux has turned the bulldogs into perhaps one of the more prolific teams in the south,” said Kelvin Queliz baseball representative. Simoneaux has compiled over 230 wins and has turned J.C Love Field at Pat Patterson into a true home field advantage as Louisiana Tech has built a .686 winning percentage. These accomplishments gained him his first coach of the year title in 2007. Simoneaux and the bulldogs ended their 2011 season with 34 wins and the best WAC tournament showing in school history. With the upcoming season under way the bulldogs look to face seven teams that all appeared in last year’s NCAA Tournament, which will provide more of a challenge for the players. “Our team will be battle tested by the team we get to conference play,” said Simoneaux, “We have a tough non-conference road schedule against teams that can really exploit our weaknesses. We want to find out where we stand prior to WAC play ”, he added. Whatever the outcome of the 2012 season the Bulldogs will have the support of over 100,000 fans cheering them on and the honor of the legacy of bulldogs before them to look up to.